You might remember the awesome proposal Lex and I shot back in August for these two adorable humans at the Naperville Riverwalk. 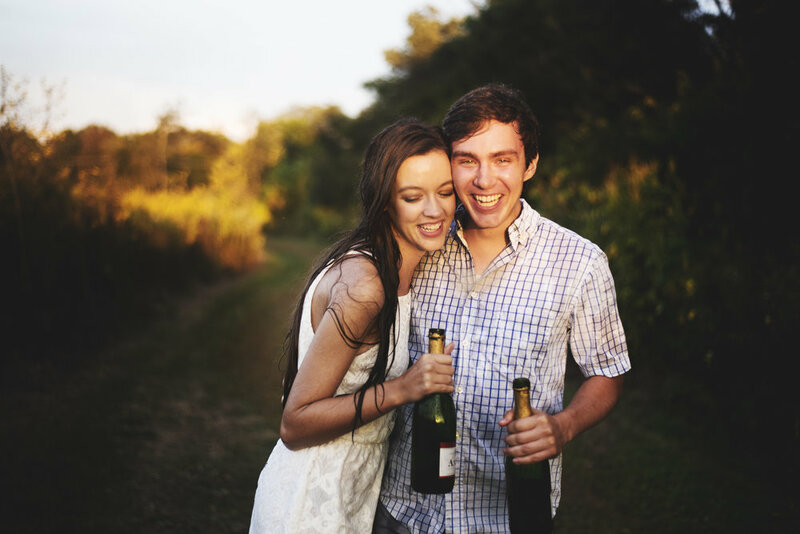 Anna and Pat wanted to do something a little different for their engagement session so we went to the forest preserve at Danada House and played with some champagne. It was AWESOME. This was the first session like this I had done and made my nontraditional heart very happy. Make sure to scroll down to the bottom to see a behind the scenes photo of my attire for this shoot so I didn't get soaked too bad!